 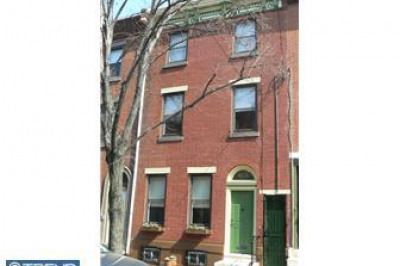 10 YEAR APPROVED TAX ABATEMENT. 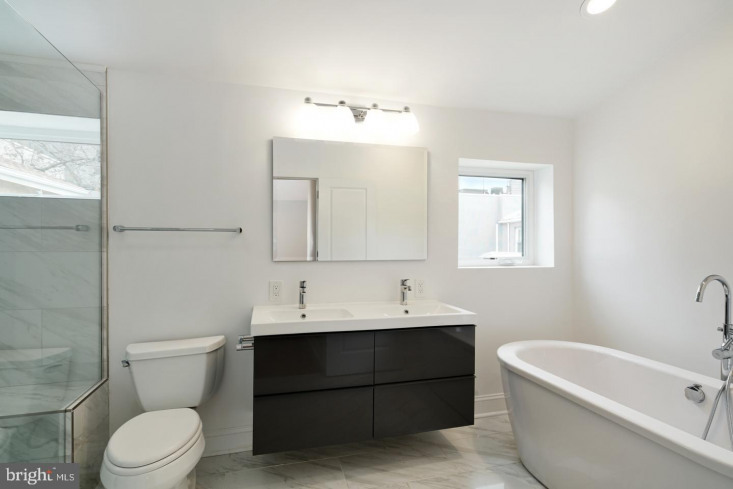 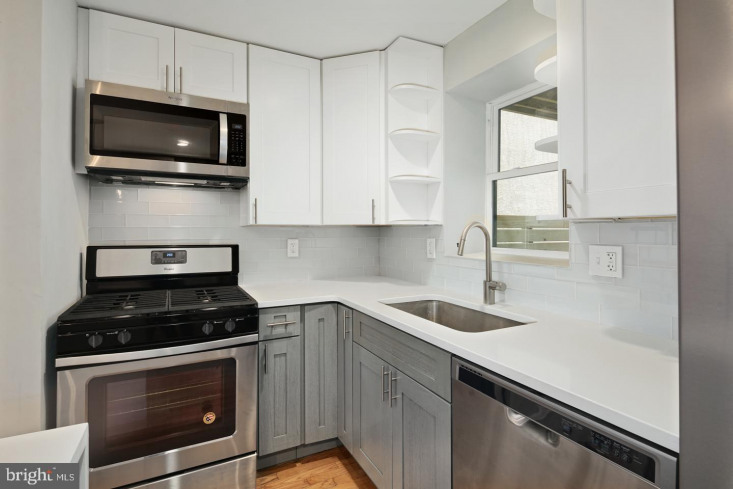 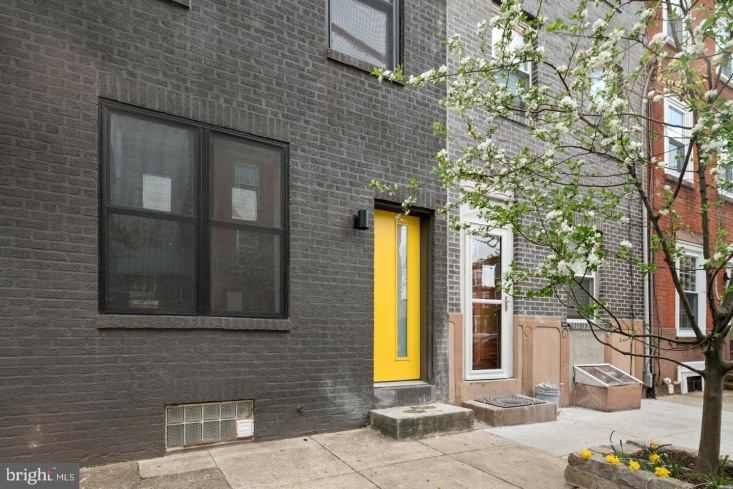 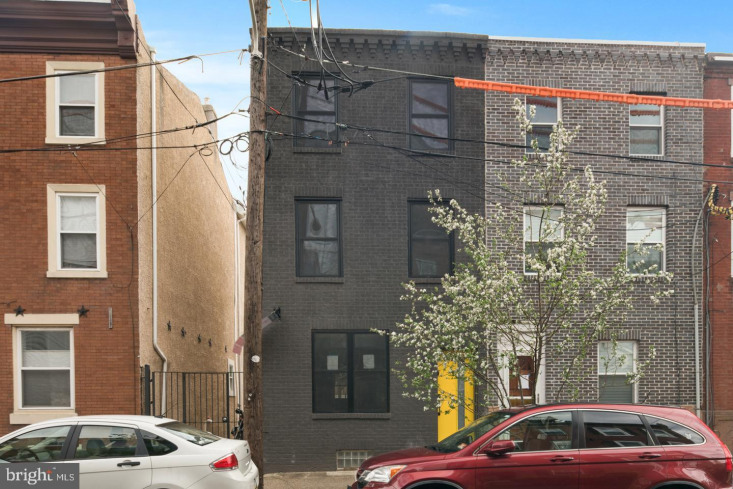 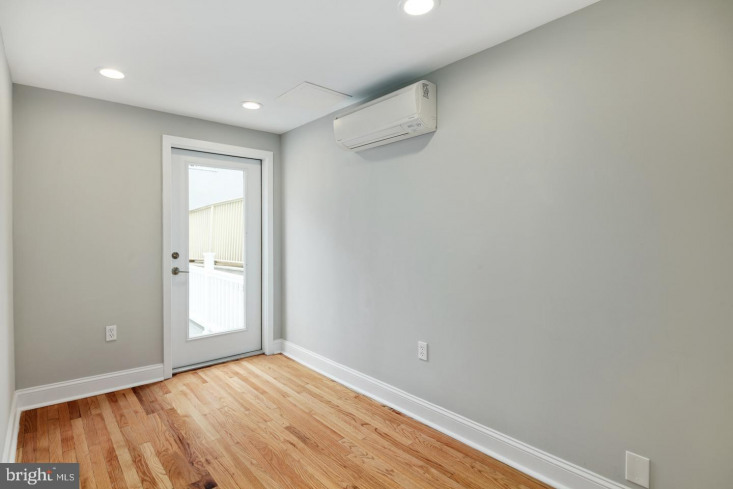 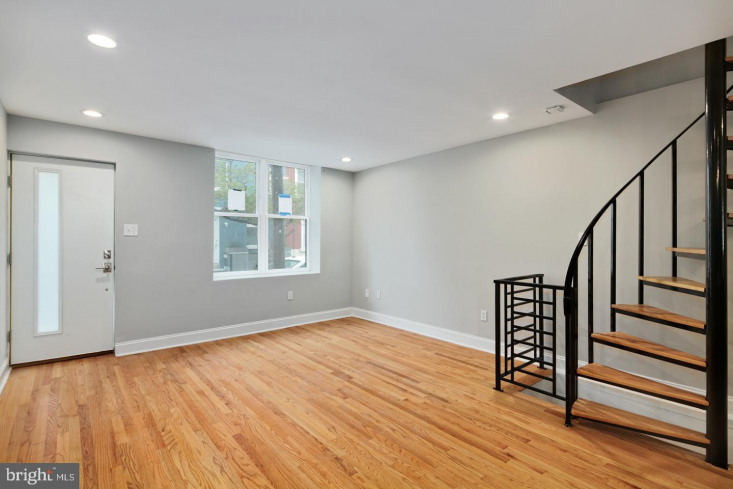 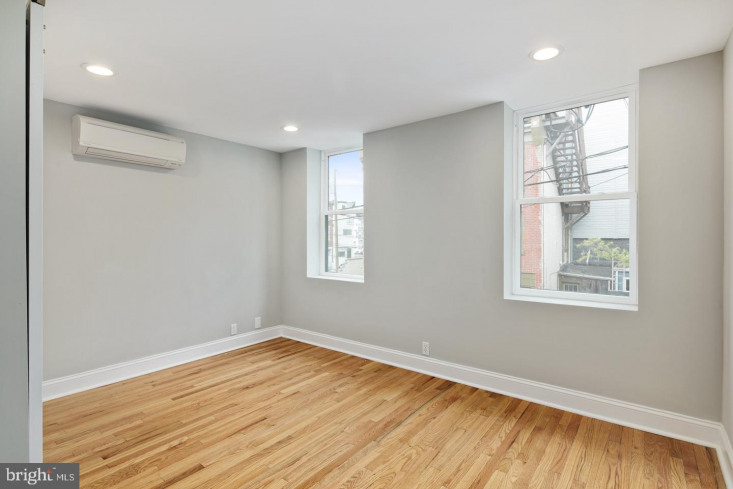 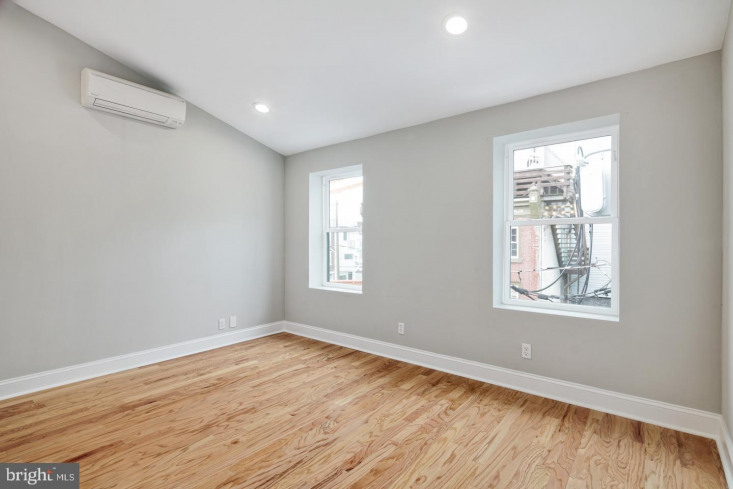 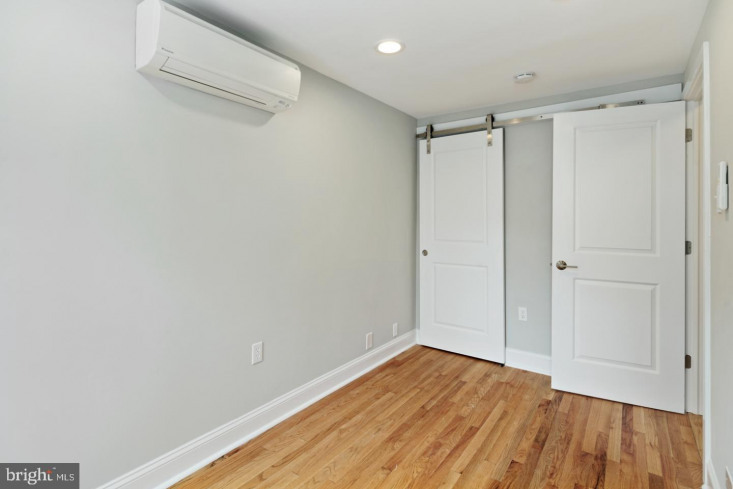 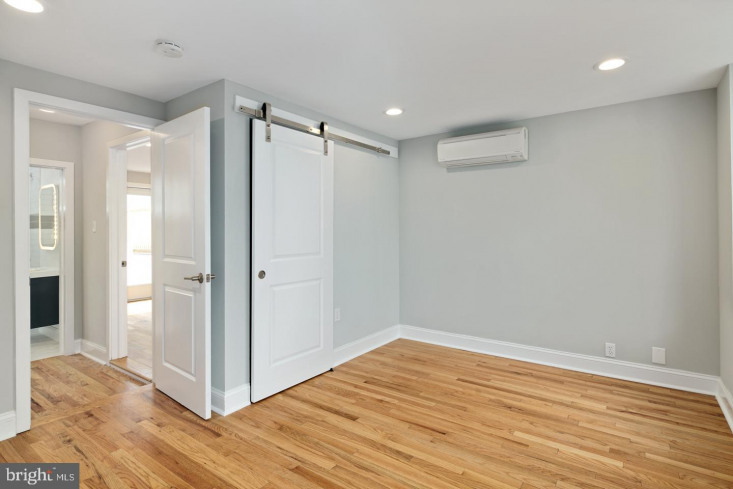 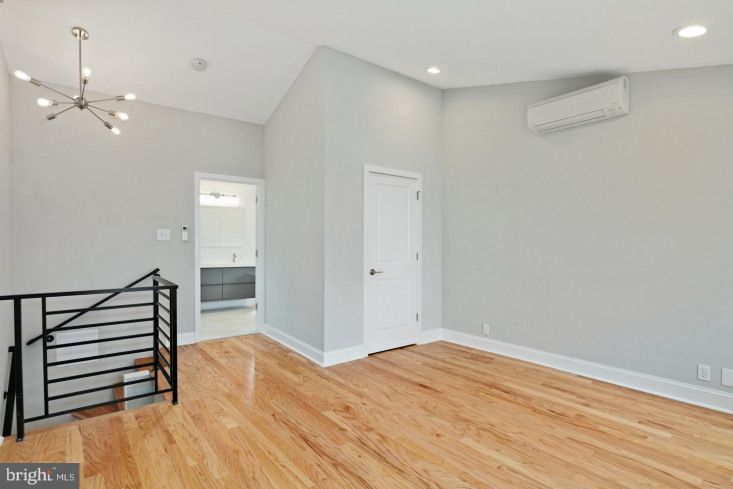 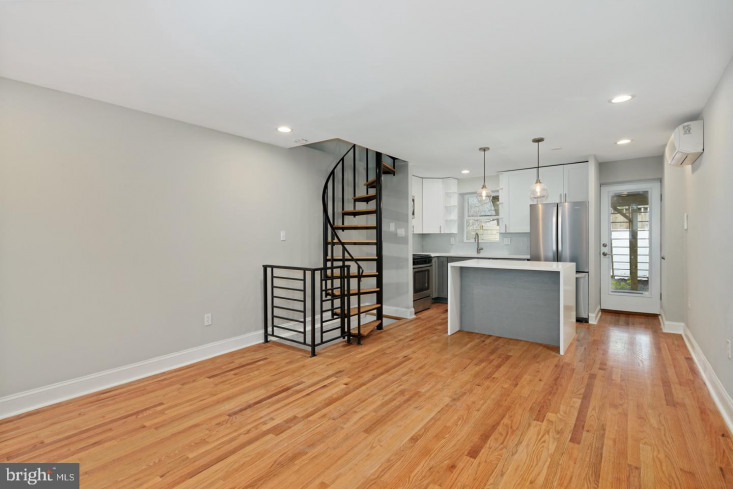 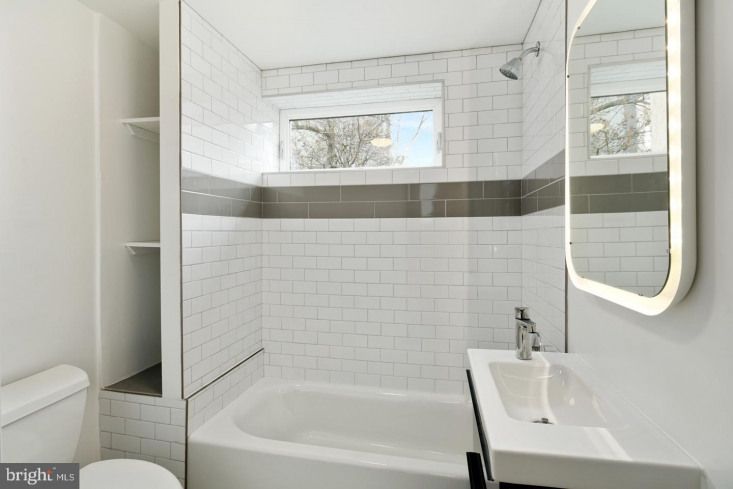 Less than a block away from The Piazza and Liberty Lands Park, welcome to this charming 3 bed 2 bath full renovation set on a beautifully tree lined street in Northern Liberties by DesignBlendz. 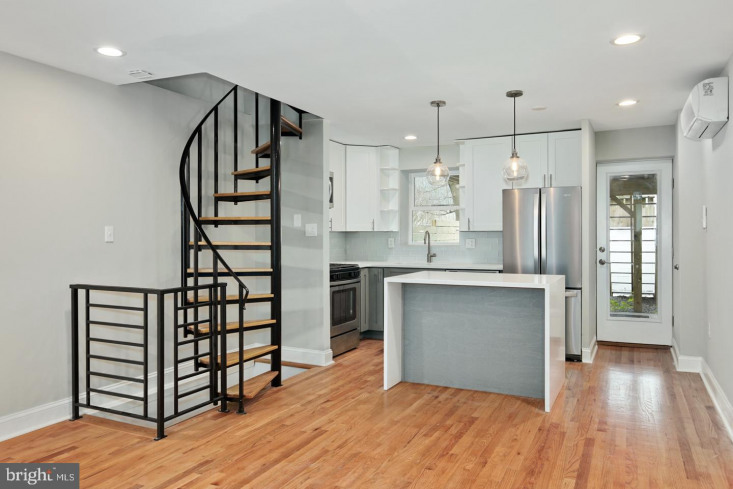 The brand new, black brick contemporary facade makes an immediate impression as you walk inside, natural light floods the living room which features a spiral staircase, plenty of recessed lighting, and natural maple hardwood floors. 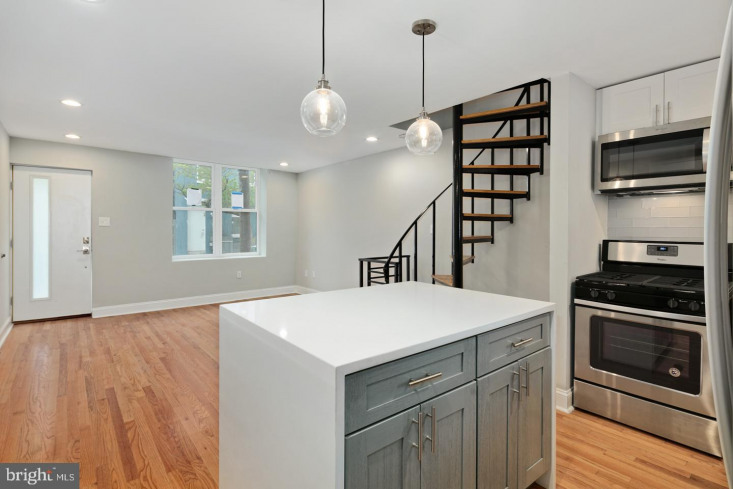 The contemporary kitchen features a waterfall quartz island with bar top and cabinets, stainless steel appliances, 42' top cabinet for plenty of storage space, and white subway tile backsplash, and entry to an outside patio with built in seating and potter box. 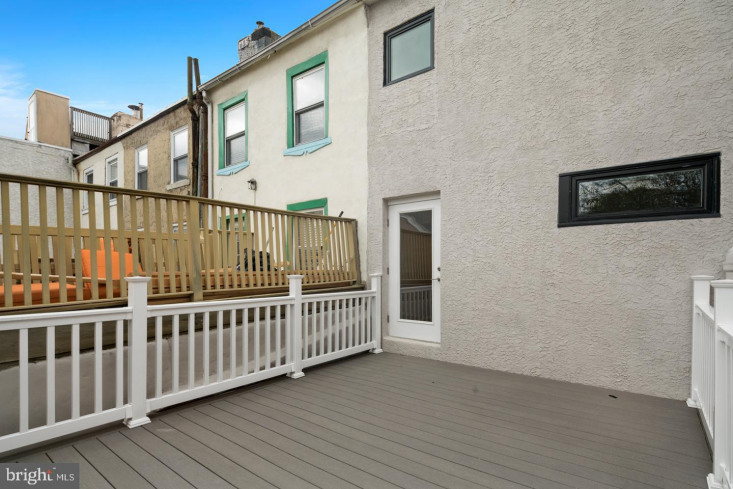 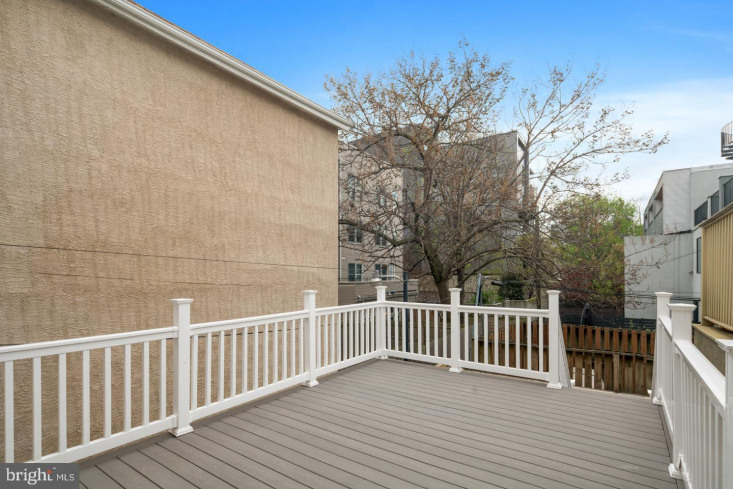 The patio also accesses the second floor deck perfect for entertaining or a little R&R. 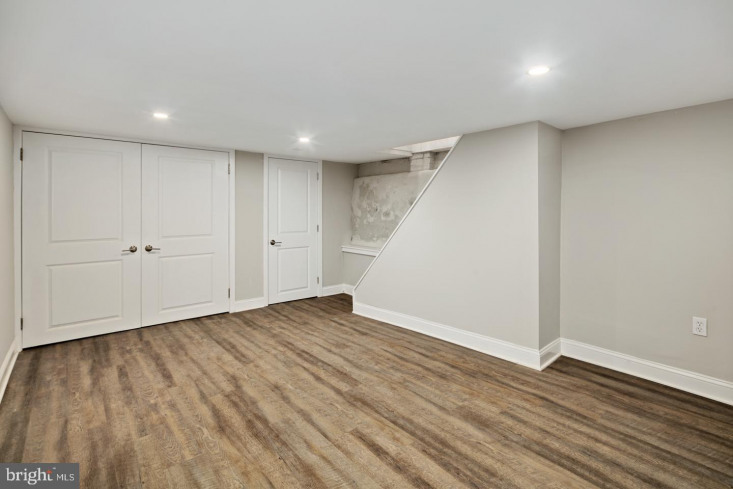 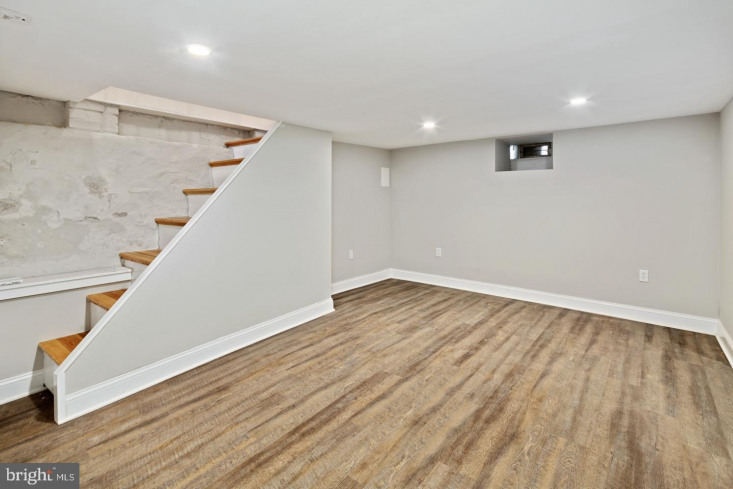 Head downstairs to a fully finished basement complete with oak disguised waterproof tile and W/D closet. 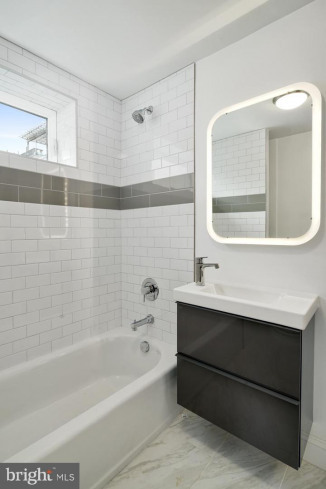 Upstairs you~ll find two spacious bedrooms that share a full hallway bath complete with tub and subway tile accents. 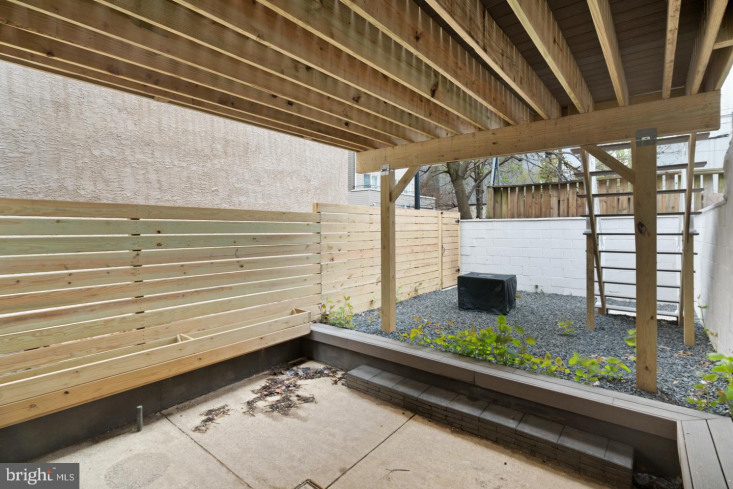 One of the bedrooms features a private rear deck. 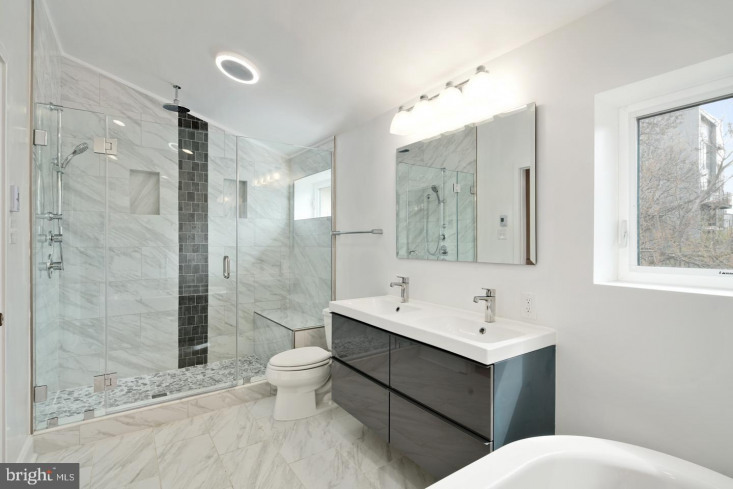 The third and largest bedroom is a master suite with a generous walk-in closet and an impressive master bath which highlights custom floating vanity with dueling sinks, a freestanding porcelain tub, and glass shower featuring rainfall shower head, handheld hose, and gorgeous custom tile work. 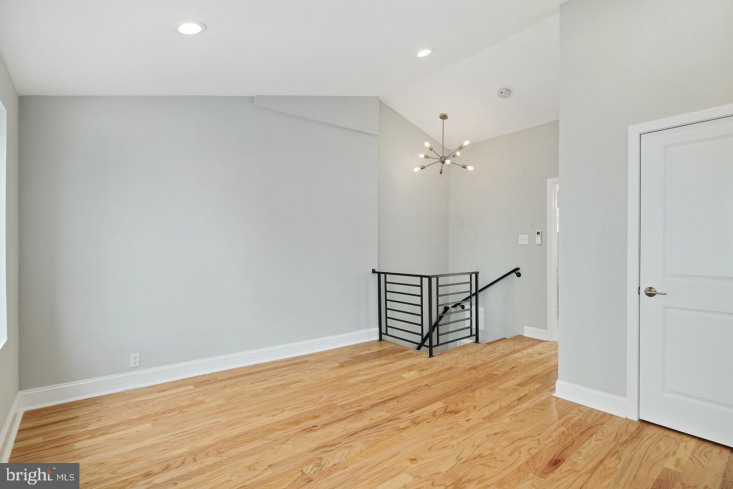 The house is a short walk from local favorite spots such as Standard Tap, El Camino, Northbowl, Vesper Dayclub, and Jerry's Bar.